WWE Rumors: Ronda Rousey to miss WWE Live Events ahead of TLC? 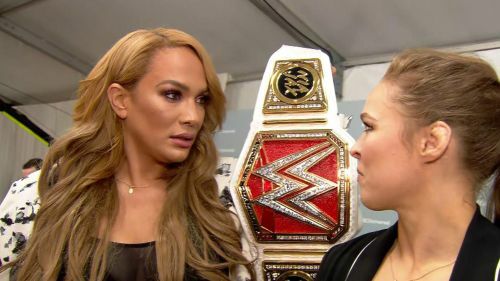 Ronda Rousey and Nia Jax are scheduled to clash at TLC. Ahead of the event, both women may miss some important WWE Live Events. Cageside Seats shared the reason for the same in their 'Rumor Roundup' section. The reason has to do with their match at WWE TLC. Nia Jax won the Battle Royal at Evolution to secure a shot at Ronda Rousey's championship at TLC. She would gain notoriety and infamy when she busted Becky Lynch's face open. With Tamina Snuka by her side, Jax could walk out of TLC as the Champion. This would allow Ronda Rousey to be a competitor in the Royal Rumble and go on to potentially win it too. This would allow her to either challenge Becky Lynch or Charlotte Flair at WrestleMania 35 as is being speculated by many. If you purchased tickets to watch either watch Ronda Rousey or Nia Jax over the weekend, you may be in for a disappointment. The fact of the matter is that neither woman may compete because they will be going over their match ahead of the TLC pay-per-view. All of Ronda Rousey's matches are high stakes affairs and this will not be the first time that WWE will go over her matches before they take place on pay-per-view. This is because not only is Rousey a special attraction, one must remember that she made her wrestling debut in April of this year. She's competing at the highest level with very little experience. All eyes will be on the RAW Women's Championship at TLC in the absence of the Universal title. As they have proved in the past, Rousey and Jax can deliver. Expect this match to be solid. Do you think Jax will be able to dethrone Rousey at WWE TLC? Let us know in the comments. WWE Rumors: Ronda Rousey joining the cast of Total Divas?